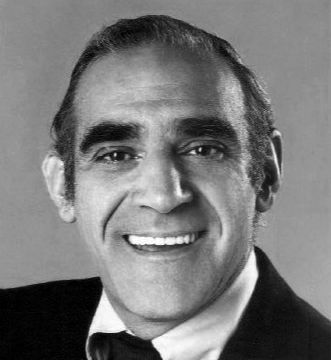 The youngest picture of Abe Vigoda I could find. Earlier this week I wrote: “Bowie’s passing proves once and for all that no one lives forever.” But just in case there was any last, lingering doubt in anyone’s mind, the death yesterday of Abe Vigoda ought to silence it. By my calculations Abe spent 94 years, 11 months, and 2 days on this planet, and for roughly half that time he made a living by looking like he could drop dead at any moment. This led some of us to believe that he might possibly be an immortal, and the monitoring of his aliveness became something of a national obsession, spawning a Firefox plug-in and abevigoda.com (which will now permanently switch over to “Abe Vigoda is dead” status). Well, Abe’s continuing existence made for good entertainment; his demise, not so much. So rather than try to mine any more material out of the man, I will simply refer you to my previous Vigoda posts here, here, and here. So long, Abe, and thanks for the memories. This entry was posted	on Wednesday, January 27th, 2016 at 10:56 am	and is filed under Whatever Else. You can follow any responses to this entry through the RSS 2.0 feed. You can leave a response, or trackback from your own site. I don’t know how much more death I can take. First Rudy from the 6 million dollar man, now Fish.